Students are provided with binoculars and field guides to observe the bird life at various locations around the wetland. They record the different species and their behaviour. They consider the ways in which the surrounding habitat supports these birds and how the birds themselves could impact on other organisms in the wetland. 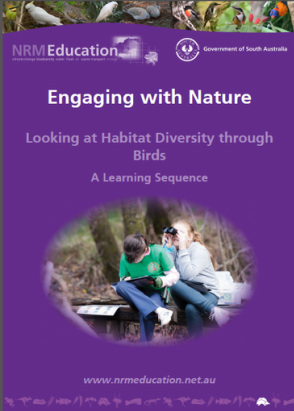 ﻿NRM Education provides a brilliant teaching resources concerning bird monitoring that can be used in the school yard or during the wetland excursion. 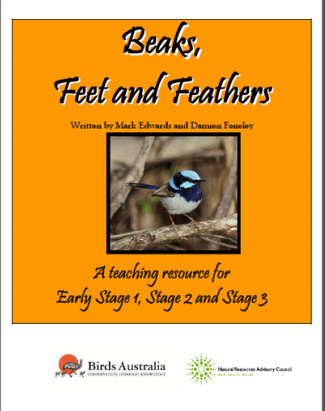 Birds in Back Yards have a wonderful resource called Beaks, Feet and Feathers that can be used in conjunction with a wetland visit.